Getting Things Done & Oh! Look At That! I started off today by going to the bank to have some paperwork faxed in for the debt consolidation loan I wanted to get. After that, I went grocery shopping, and then went to the library to check out the Friends of the Library sale and see if I could find any good craft books. I ended up finding 5 books that I paid a total of $2 for, so that made me pretty happy. Two of the books are more booklet than book, but they’re something I wanted so it works. 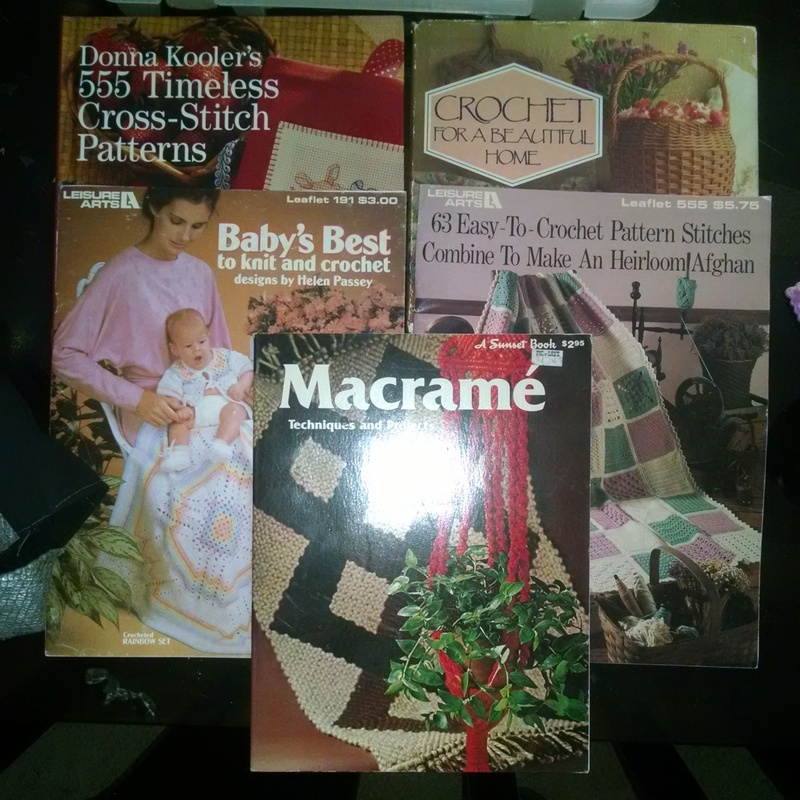 I ended up with three crochet books, one with hundreds of cross stitch motifs, and a macrame book. The macrame book has some images of ancient examples of the knotty craft as well as some really cool stuff I’d actually like to make. 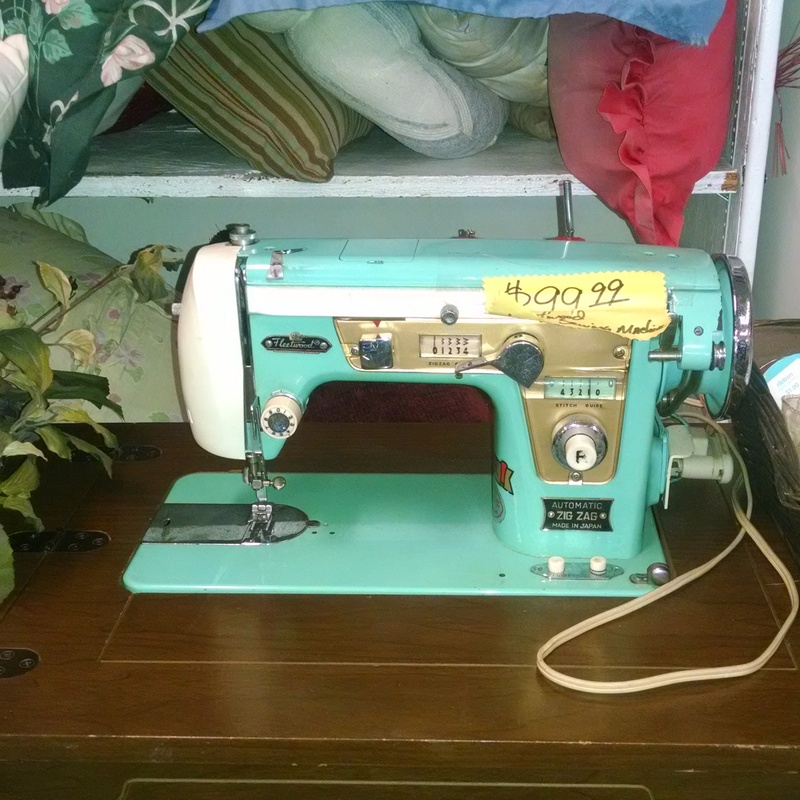 After that I went to the Grace Thrift store and found this beauty. I wish I could have taken her home with me! 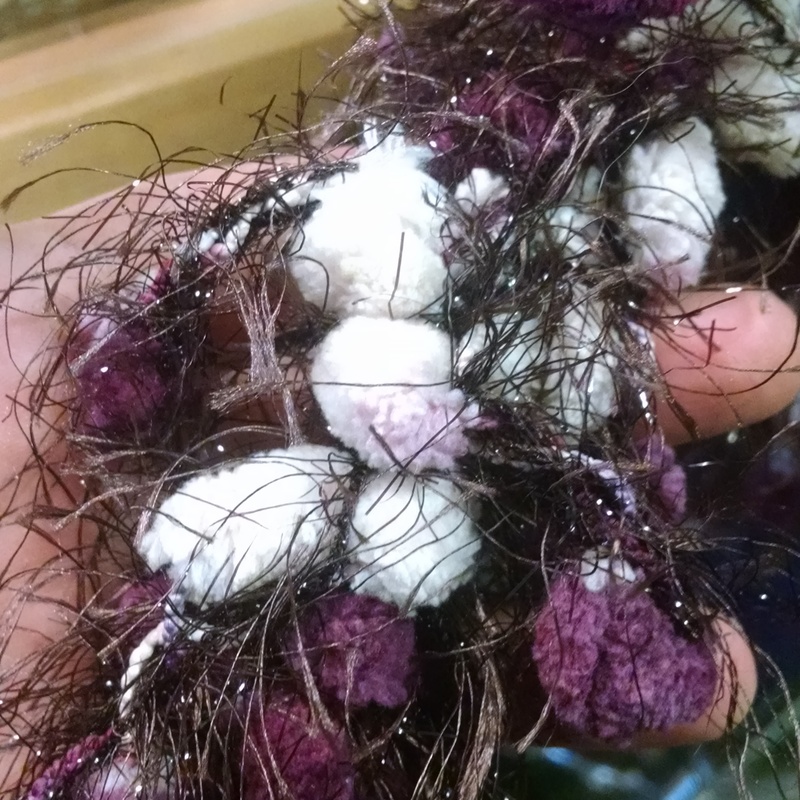 I saw this really unfortunate scarf someone knitted or crocheted using both pompom yarn and faux fur yarn. Eek! I didn’t see anything else I liked there so I went to the American Way thrift store next. 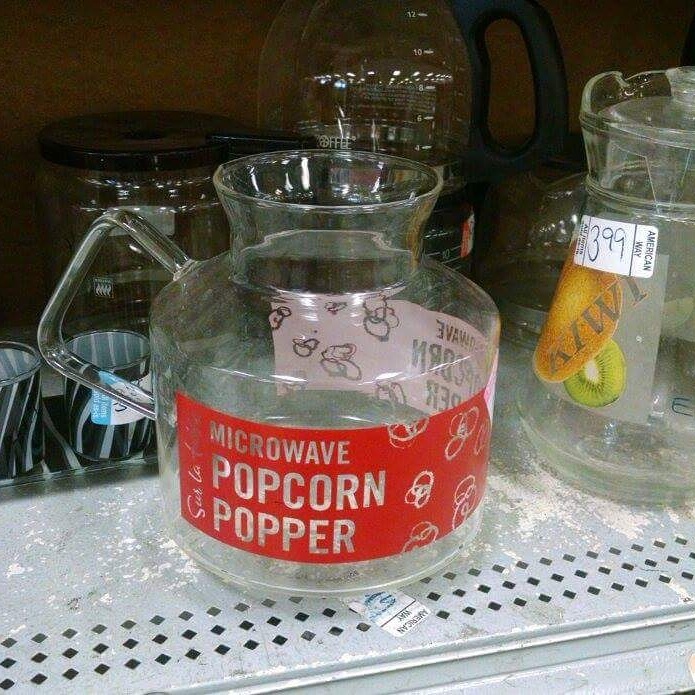 I saw this microwave popcorn popper, which was just a big glass jar. 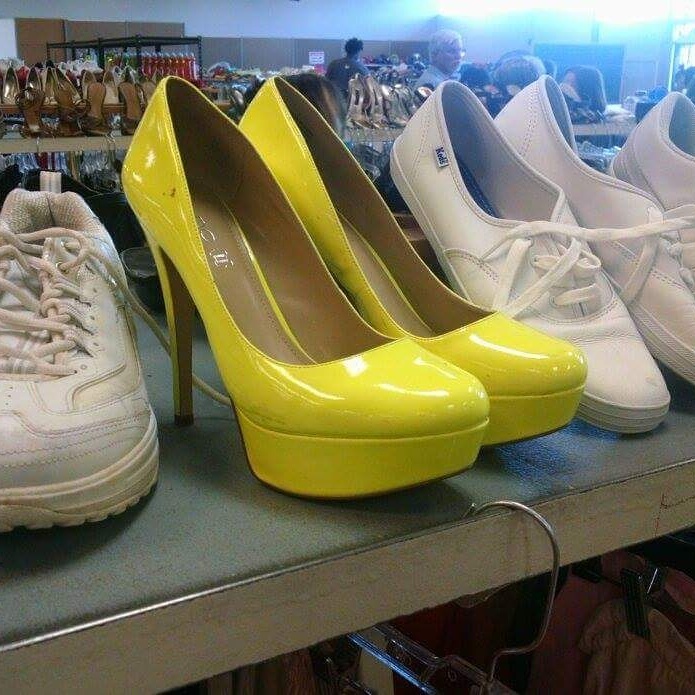 I also found at the thrift store a pair of acid yellow high heels. The shoes are less sunshine and more neon in person. I have no idea where I will ever wear them to but I could not leave them behind. I looked them up online when I got home and they are $90 shoes I paid $10. They’ve maybe been worn once. The soles are a little dirty but the insides are clean and the stickers are still on the soles. After that, I got called back to the bank to sign my final paperwork to finish the loan process. They will disperse most of the money directly to the accounts I owe on, so I hardly have to do anything. I told Mattie I took out the loan explaining that a 11.5% interest rate is way better then the 19% and higher I’d be paying otherwise. He seemed to think negatively but I feel confident I did the right thing to save some money long term. Of course I’ll still be trying to pay up extra on the payments when I can, but I’m honestly not sure how often that will be feasible. Not much else to say tonight. Mattie has pool tonight by himself and I’m going to watch some TV until he gets home. Night all!